Asbury CEO Charles Oglesby sees opportunity in Ford and Chevrolet stores. Asbury Automotive Group Inc. is in talks on potential acquisitions of Ford and Chevrolet stores. But Group 1 Automotive Inc. expects its buying binge to slow. The automotive retailers' comments came after each released higher sales and profit figures for the first quarter compared with 2009. Asbury CEO Charles Oglesby said, "Some of the best growth opportunities out there" are with domestic-brand stores such as Ford and Chevrolet. He also identified Toyota stores as acquisition targets. He did not disclose the number of deals being discussed and declined to say whether any purchases would be completed this quarter. 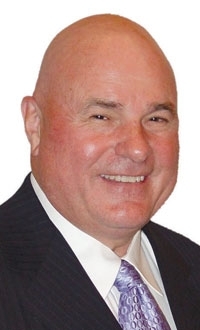 While acquisition activity is increasing both for the industry and for Asbury, disagreements over dealership valuations, particularly over real estate, remain a "pretty steep" barrier, Oglesby said. "The seller still believes the real estate to have the values that existed in the past." Unlike Asbury, Group 1 had a flurry of acquisition activity in the first quarter. Group 1 wants to continue strategic dealership purchases, but sellers are asking for high prices, CEO Earl Hesterberg said. "I can't say the asking prices by sellers have changed that much, which is one of the reasons there is not a lot of acquisition activity that I foresee for us," Hesterberg said. Last week Group 1 announced its latest purchase: an Audi store in Columbia, S.C., with an estimated $14.5 million in annual revenue. That brings to eight the number of franchises Group 1 has acquired this year. With the additions, Group 1 now has 102 dealerships and 138 franchises. Hesterberg said the retailer continues to look for acquisitions in the United States and Britain. Although he prefers acquisitions in markets where Group 1 already has stores, Hesterberg said that he's also open to new locations. Group 1, of Houston, ranks No. 4 on Automotive News' list of the top 125 U.S. dealership groups. Asbury, of Atlanta, is No. 6.